Are you interested in model railroading? Would you like to learn more and join our group? An opportunity to broaden one’s horizons in the hobby as well as in the prototype railroad world. An opportunity to share in all phases of the hobby – to gain knowledge and acquire or sharpen skills, with hands-on experience and to solve particular modeling problems by drawing on the readily available skills and experiences of the members. Use of the club’s large layout. You and your spouse can participate in club social activities if desired. Show enthusiasm – An outward indication that prospective new members are having fun, enjoy the company and fellowship of the club and that of participating in the club’s activities, whether work or play, is a satisfying experience. Club meetings are held at, 27316 Michigan Ave. in Inkster, every Thursday beginning at 7:30 PM (except the business meeting, on the last Thursday of each month). Demonstration that prospective new members are wiling to ‘get their hands dirty” alongside the membership during work sessions, etc. Demonstration that prospective new members can interface with the membership in the club’s informally organized, volunteer environment. Prospective new members are able to abide by all rules and regulations as well as other decisions made by the membership. 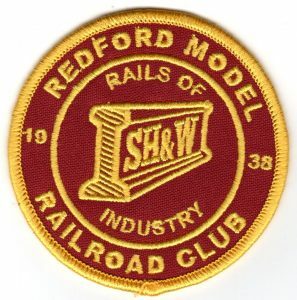 Potential members need not be “experts” or “master model railroaders”. Lack of model railroading experience is not a handicap to joining our organization. Prospective members (known as Associate Members, are those who are working on obtaining full membership to the club.) fill out an application for membership. Over a 12 week period, attend 9 events and 1 business meeting and pay a $5.00 dues fee each time they attend, whether work, open house or operations sessions. . Associate members do not have voting rights, but may attend business meetings. Upon the completion of all prospective membership requirements the eligible club’s Senior membership will vote on the request for full membership at a regular business meeting of acceptance or rejection of the applicant. Once voted in for full membership a member becomes a Senior Active Member. After the one time installation fee of $50.00, monthly dues are $30 per month for Senior Active Members. Senior members will receive a key to enter the club building anytime , have full voting rights, and share equally in the club’s assets. Due are $15.00 a month for Junior members. Upon their 18th birthday a Junior member may become a Senior member automatically by paying an additional installation fee equal to the difference between Senior and Junior fee’s of $25.00. Junior members must be sponsored by a Senior member. Junior members parent or guardian will receive a key after 90 days, and must be with the Junior member at all times while they are in the building on a non-meeting nights. For a membership application, please click on the button below.